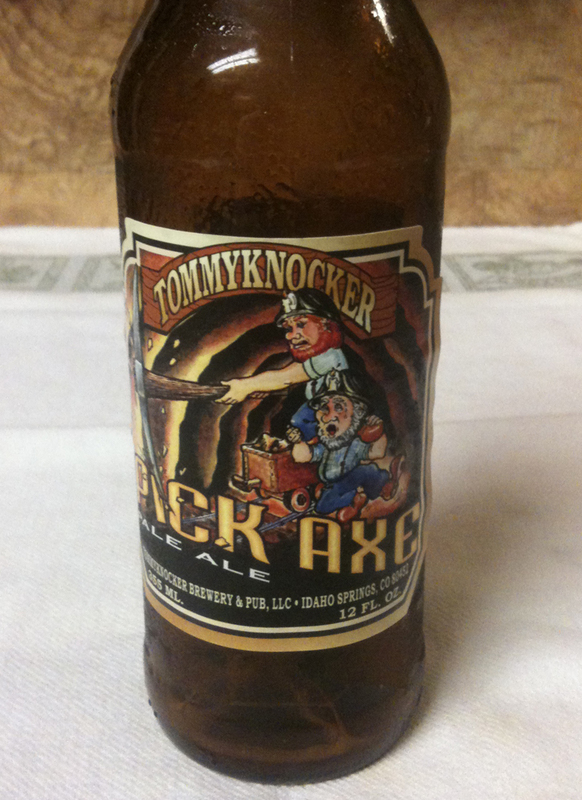 Tonight I will try a Pick Axe Pale Ale from Tommyknocker Brewery. Searching the Internet, it is 6.2% ABV. Twelve ounce bottle. 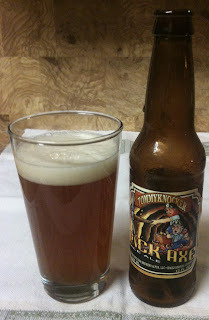 This ale poured with a medium, bone-colored head. The color is that of a very cloudy, golden honey. Aroma is a mild citrus with a touch of sweetness that seems somewhat fruity or floral. The taste has some citrus that seems more orange-like to me. There is also a bit of fruitiness. Slightly sweet. Mild to medium bodied, but flavorful. Slightly dry finish with little aftertaste.